One-Pot Beef Spaghetti is ready in under 25 minutes – a creamy tomato dinner dish with ground beef, vegetables and perfectly spiced ! 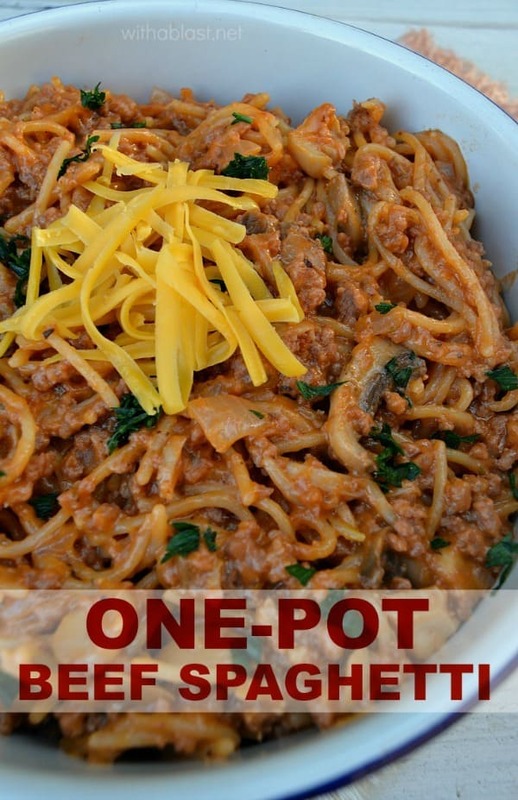 One pot dishes are so popular these days and there are so many recipes floating around, from beef, lamb, chicken to fish, but one of our favorites is this One-Pot Beef Spaghetti. I like it for two reasons, less dishes and this specific recipe is also quick, easy and you can have dinner on the table in less than 25 minutes. My husband is particularly good making one pot concoctions, which we always enjoy. So, yes, that is why I have only shared one of his recipes previously, since I started blogging ! 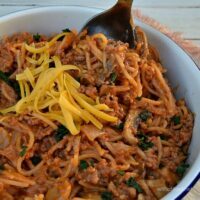 One-Pot Beef Spaghetti is ready in under 25 minutes - a creamy tomato dinner dish with ground beef, vegetables and perfectly spiced ! Serve, topped with Cheddar Cheese and a side salad or two. I've done this before and I love it! Yes, one pot dish meals are IT!!! Hello I found your blog through Let's Get Social Sunday, your recipes look delicious!!! New follower here via Google+. 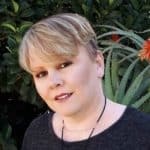 I invite you to visite my blog and if you like my creations I hope that you will consider following me back.Thank you for hosting this party! Wow Linda this looks like my kind of meal one question and its probably dumb but how does the starch from the spaghetti go. Does it thicken the dish or do you rinse it before cooking? 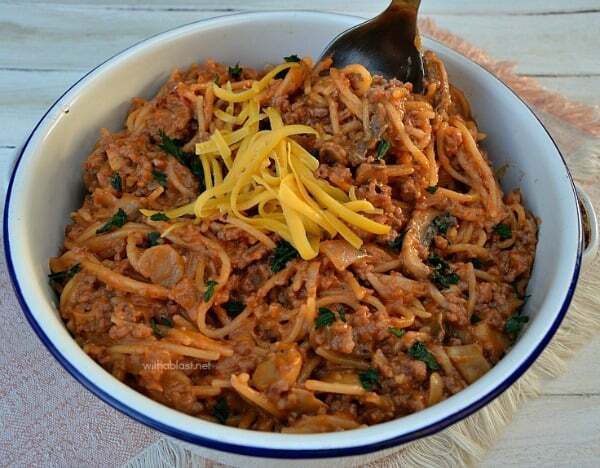 Oooooh spaghetti…my all time favorite food and now you've made it even easier! Yummmm…I have been known to eat cold spaghetti for breakfast!! Thanks Linda, it looks awesome! I love one pot meals, Linda! For the same reason as you – less dishes 🙂 Pinning this one! This sounds great – totally opposite direction from my normal cooking (mostly anything with chicken or broccoli) which my family will enjoy! Can't beat a 1 pot meal!!!! Thanks for sharing! wow, looks easy to make and delicious…which is the best dinner. Thanks for sharing and going to try this.